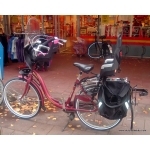 The Steco Buggy-Mee has been a long time favourite of parents in the Netherlands. 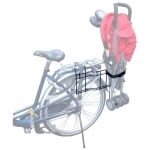 This device attaches to the back rack on your bike and allows you to take a folding buggy or pushchair along on the bike. As you'll see from the additional photos It can be used at the same time as a front and back child seat and panniers. 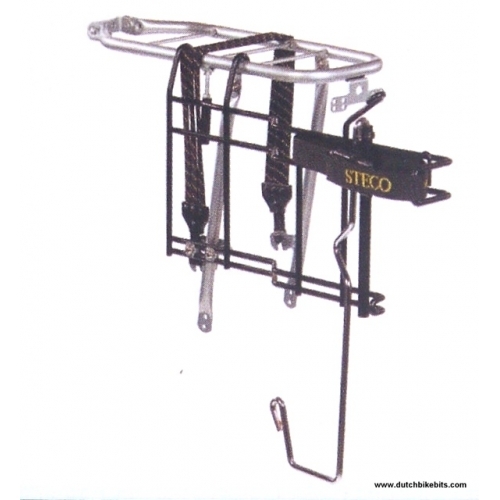 The folded buggy rests on the hook at the bottom and is strapped to the bike with the Steco strap. The Buggy Mee works with nearly all buggies with a weight of up to 7 kg. 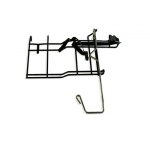 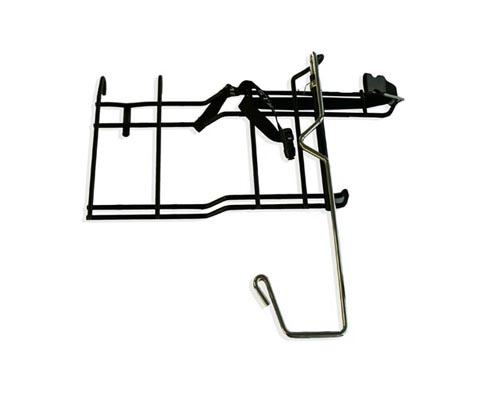 The Buggy Mee itself is connected at three points with your carrier rack. 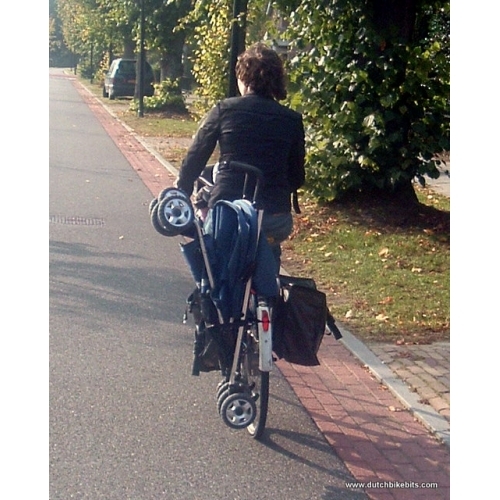 Note that you need a rear rack on your bike to attach the Buggy Mee. This is not included.